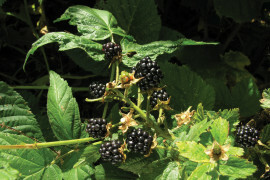 Late variety with poor hardiness and medium productivity. Long spineless canes with fair suckering. 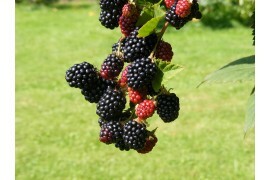 Blackberries are very large, very firm with good flavour. Winter protection of the canes is essential. 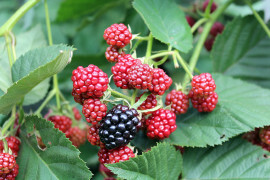 Very hardy variety bearing, on a spiny canes and over a long period, sweet and juicy large fruits. Late variety with average hardiness. Long spineless canes with fair suckering. 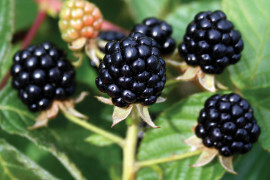 Blackberries are very large, very firm with good flavour. Winter protection of the canes is essential.